OW OFFERING KOOZIE ® Brand can coolers. 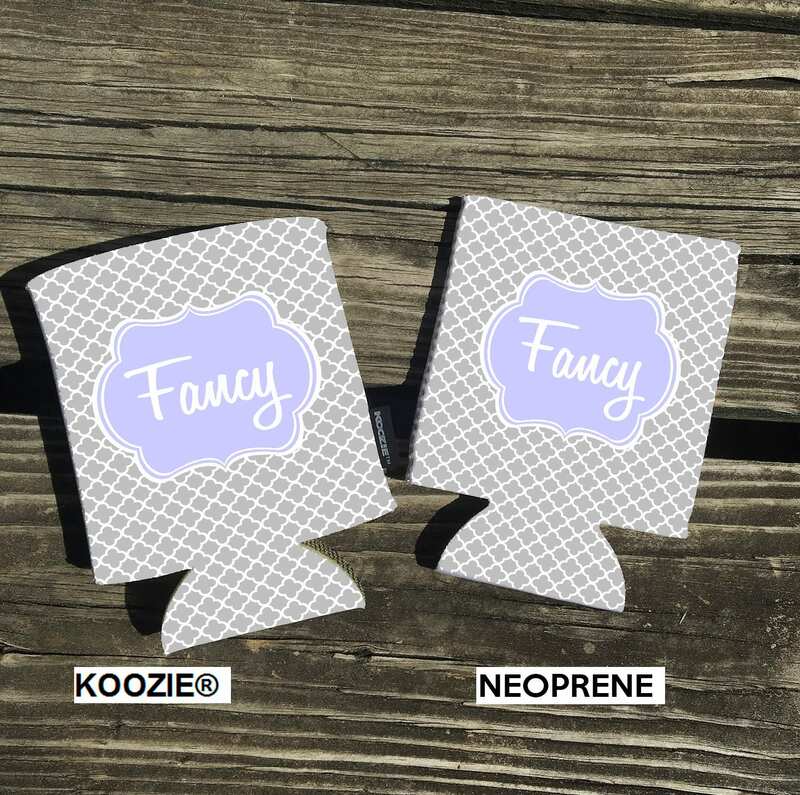 You have now have the option to purchase either our signature Neoprene or KOOZIE ® Brand can coolers from Premium Custom Gifts. Spice Up Your Event With Our 12 oz. can coolies. Not only do they keep your drink cold but they also collapse for easy storage when they are not in use! Those pesky cans lined up on your table and no one knows whose drink is whose... With These Personalized Can Coolers The Drink Fumble Will Be A Thing In The Past! KOOZIE ® Brand can coolers measure 5-1/4” h x 3-7/8” diameter. These are made out of polyester with foam backing. Hand wash and dry only. Neoprene measure 5’1/4” h x 4” flat. These are made out of neoprene material. You can put these through the washer and dryer. 2. Select the quantity you would like to purchase. Choose the color of the background and the color of the frame. 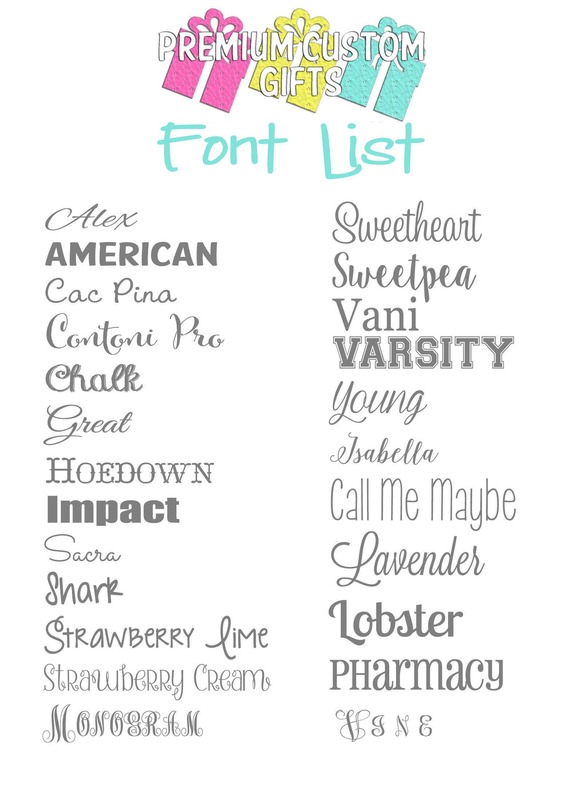 Choose the font you would like to use. Tell us the name or text you want imprinted on the koozie. We will send out a draft for approval within 3 days of purchase. Please look for the draft. If we do not hear from you within 2 days after draft is sent we will assume you like what you see. The text will appear on ONE side of the can cooler. If you want double sided text please REQUEST CUSTOM ORDER. 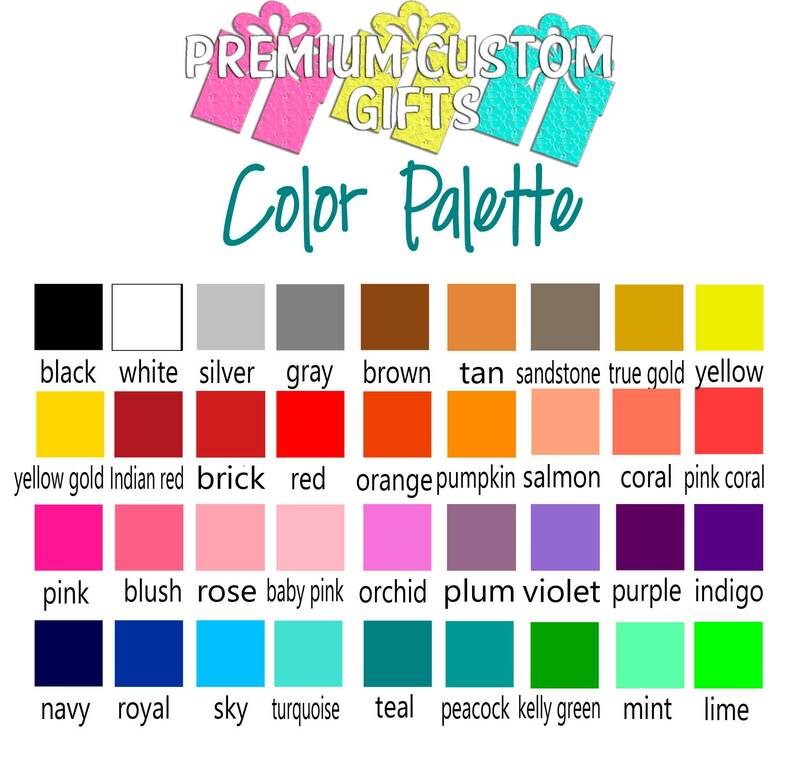 If you do not see what you are looking for please click the REQUEST CUSTOM ORDER button and ask. We most likely have what you are looking for. THANK YOU! WE APPRECIATE YOUR BUSINESS AND LOOK FORWARD TO HELPING YOU!